When it came down to saving his best friend Ben’s relationship, Steven Hoode didn’t hesitate to trade his Florida timeshare for a month at Red Wolf Lodge. Cold weather isn’t his favorite thing, but hot snow bunnies are, so he plans to make the most of his vacation. Chela plans to break it to him gently, but when he accidentally witnesses the whole Pack shifting, things get a bit…hairy. He bolts, locking himself in his cabin and refusing to listen, even to Ben. This was fast, quick read, with a lot of humor thrown in. Dana Marie Bell does it again. I loved the story line and the character development in this story. Chela and Steven are great together. Chela actually needed someone who would cherish and take care of her after everything that had happened to her. When Steven locked himself in the cabin and would not come out, and Chela used pictures and quotes from Droopy Dog and others to get him to let her in. This was very funny. When Steven first turns furry is also a funny moment. I love Dana Marie Bell’s books, they always make me laugh. This week I definitely needed a good laugh with my Grandmother having a stroke and being in the hospital. I give this book 5/ 5 stars, for chasing away the blues. I recommend Dana Marie Bell’s books to anyone who needs a good laugh. Dear Sirs,I checked your new stuff named “BOOK REVIEW FOR “MR. RED RIDING HOODE” BY DIANA MARIE BELL | Book Junkiez” like every week. Your writing style is bravo, keep it up! And you can see my website about 李宗瑞. Basically needed to say I’m just happy I stumbled upon your internet page. I am glad you did too. If you have any questions just let me know. 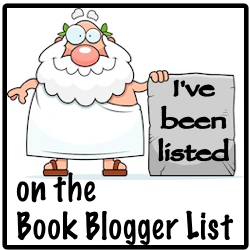 Dear Sirs,I read your blog named “BOOK REVIEW FOR “MR. RED RIDING HOODE” BY DIANA MARIE BELL | Book Junkiez” on a regular basis. Your humoristic style is spectacular, keep up the good work! And you can look our website about 藍光影片. Thank you, I will keep the humor flowing on a regular basis. I will also look at your site too.